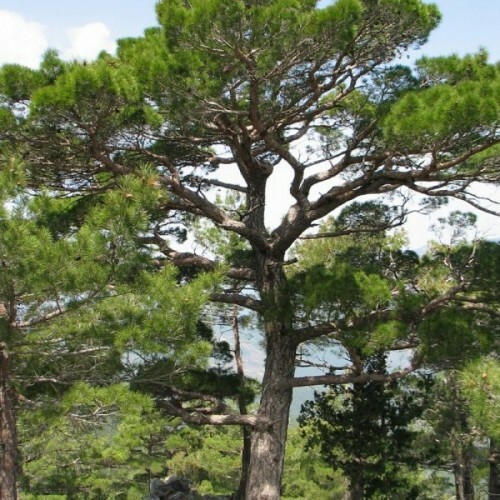 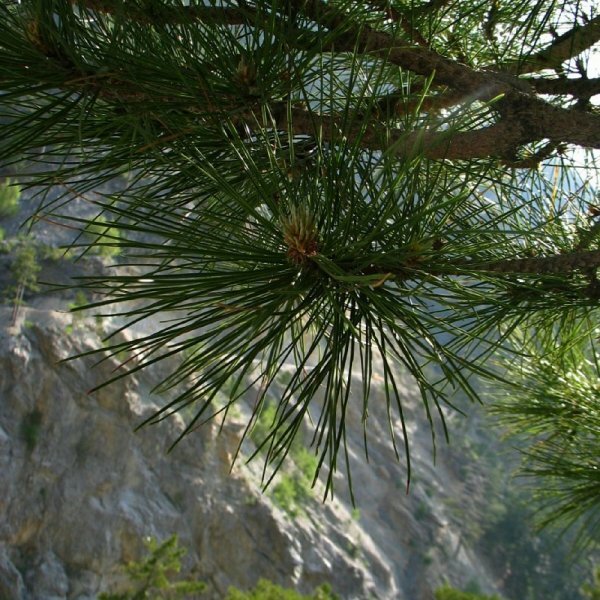 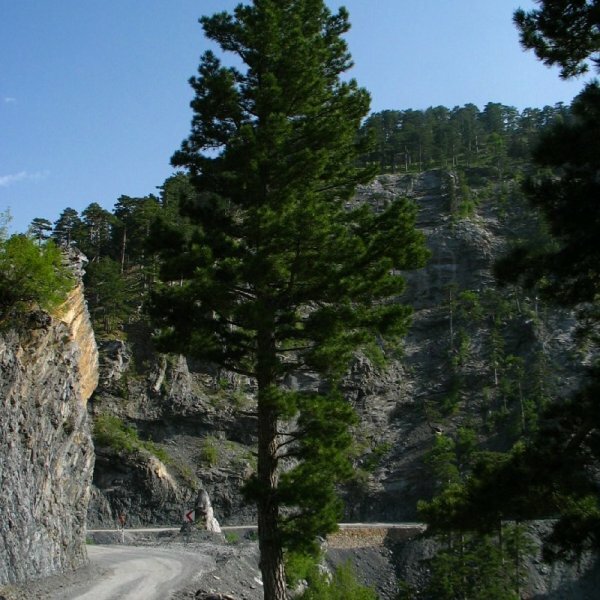 Turkish black pine is a ubiquitous large evergreen tree native to southeastern Europe. Pyramidal when young, it eventually forms a high-crowned, broad-headed tree. 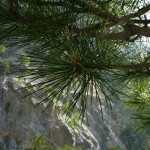 The needles are long and stiff; the bark is dark brown and platy. 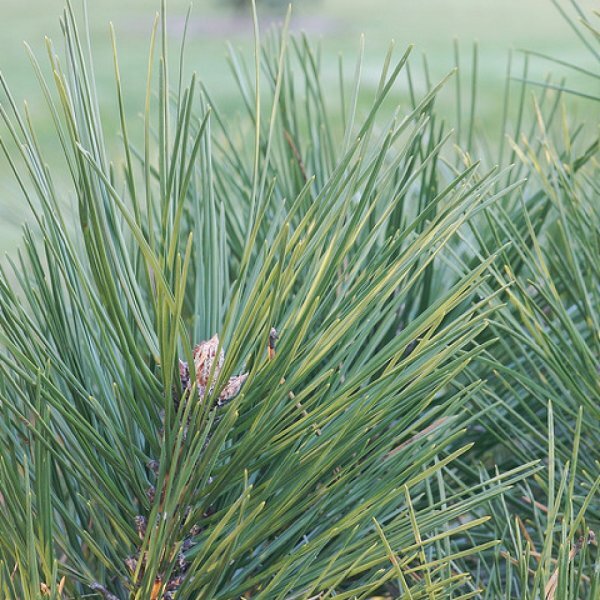 Tolerant of urban and seaside conditions, it prefers sun and well-drained soil. 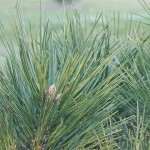 It is susceptible to twig blight.